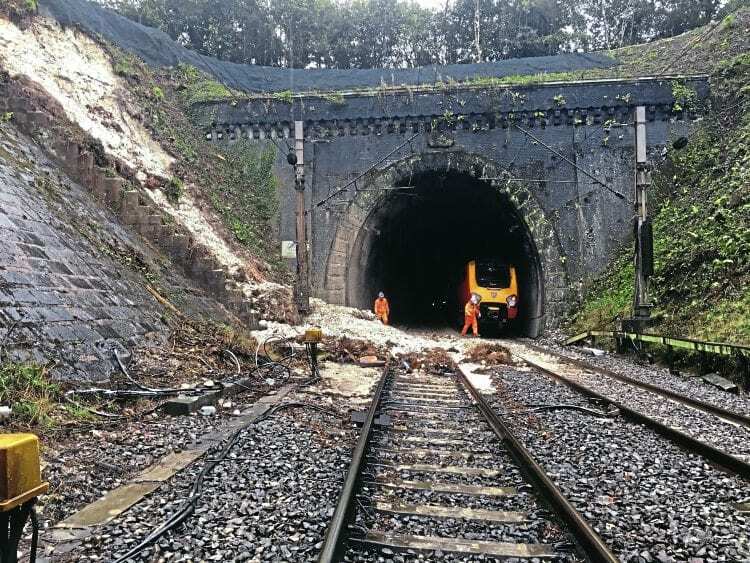 TWO passengers suffered slight injuries after a London Midland Class 350 EMU was derailed by a landslip on the northern approach to Watford slow tunnel on September 16 following torrential rain. Although the train stopped inside the 1,990-yard long tunnel, two minutes later it was struck a glancing blow by unit No. 350233, which was working the 06.39 Euston-Birmingham. Luckily, both trains remained upright. The incident happened at around 06.55.